Dan grew up in Viborg, SD and graduated from the University of Sioux Falls with a bachelors degree in business administration. Dan enjoys helping his clients figure out ways to generate more cash flow and how they can use that cash flow to invest in products according to their time horizon, risk tolerance, and their desire to leave a legacy. Dan also has firsthand experience with owning a business that allows him to relate with other business owners on their obstacles they experience with cash flow, debt management, and asset management. Dan has been in the financial services business since 2008. 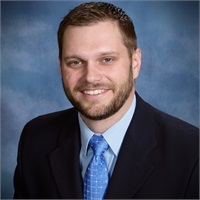 Dan currently holds his series 6, 63, and 65 licenses and is a financial advisor with Signator Investors, Inc..
Dan currently resides in Sioux Falls, SD with his wife Laura and their 2 sons Elijah and Ethan.